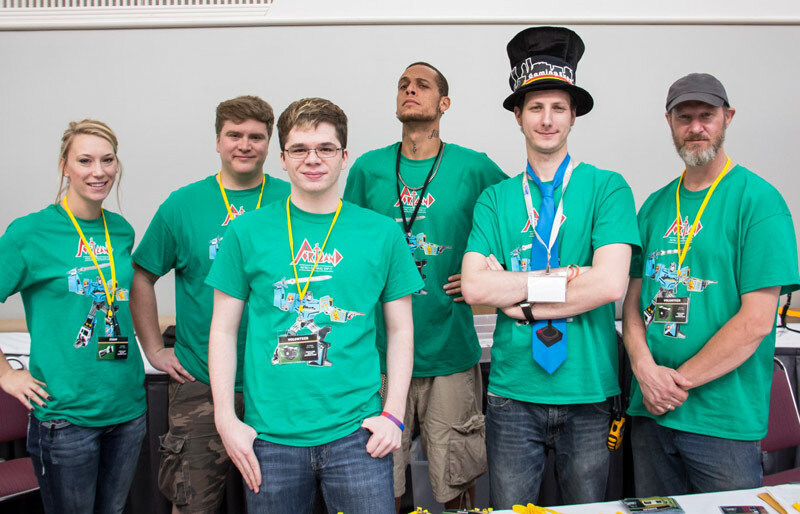 PRGE runs on volunteers and we need your help! Do you love classic video games? Would you like to hang out with hundreds of like-minded classic gaming fans? Would you like to touch real-live video game nerds? Get all this plus a free PRGE t-shirt and free admission to the Portland Retro Gaming Expo! If you will be in the Portland, OR area on October 19-21, 2018 we could use your help! There are positions available in setup, and breakdown, guest assistance, tournament organization and stage management/production. Each volunteer gets free admission to the Expo for the entire weekend. This year we are asking volunteers to commit a minimum of two 6 hours shifts, within the 6 days of the show. Each volunteer will receive a custom PRGE volunteer t-shirt and weekend entry to the show along with our utmost thanks. To apply please fill out this application. Console Free Play - Helping with keeping our awesome free play area stay... well awesome. If you like fiddling with old TVs, have a fast knowledge of games, and don't mind the occasional cleaning of a controller or two. Then this may be the place for you. Registration - Everyone who enters the show will need a badge, this is where you would come in. You will help with distributing badges to attendees, guest, panelists, etc. If you like talking and interacting with people, this could be the place for you. Retrocade - Experiencing the Supercade is awesome enough. The only thing that could make it even... awesomer(?) would be being a person that helps keep those sweet, sweet machines stay humming. If you have a knowledge of arcade machines or would like to gain knowledge of them, this could be the place for you. Auditorium - We have many panels in three separate auditoriums. This role will help the panelists with keeping the panels running on time as well a managing lines/headcounts. Setup/Teardown - There is no magic that makes PRGE suddenly appear. Well, there is and the secret is our volunteers. When assigned to do this area you will be helping with many different aspects, such as booth construction, exhibitor help, setting up console free play, supercade, donut runs... everything needed to make the show being able to run in the first place. As well as to pack up the show. Spareboard - These individuals are the ones wanting to experience multiple aspects of the show or who are indecisive. You will be asked to do anything here. Expo Floor - Our extra set of eyes and ears on the floor. Also helping lost or wayward attendees and just generally being pleasant, helping everyone have a good time. Info Booth - As our show has grown we have developed the need for this position. This will be the goto position for all things knowledgeable about the show. Helping attendees and sometimes staff with questions. If you have questions, please contact us at volunteer@retrogamingexpo.com. Thanks!